We're very happy to help you in any way we can. 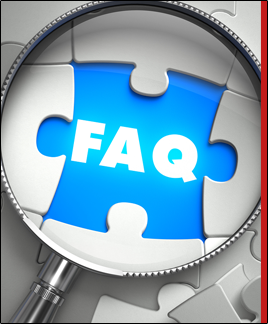 Below are some of the questions most frequently asked of our personnel. If you don't find what you're looking for, please drop by or give us a call. Does BCS provide breakfast and lunch to students? Does the district provide bus transportation to school? How will you notify us of school delays, closings, and other school emergencies? How will BCS schools help prepare my child for the technological demands of the 21st century? Are sports part of the curriculum in the Blackford County schools? What is Blackford County Schools' policy about random drug testing? Yes, we provide a nutritious breakfast and lunch at each of our schools. Please see our Food Services page for more information. We are happy to provide the privilege of bus transportation to many students who attend our five Blackford County schools. Visit the Transportation page for our transportation policy, bus rules, and schedules. All of our classrooms and our school libraries are equipped with computers for student use. Internet access is also available, which students may access only through the use of their user ID and password combination. Network and Internet access is a privilege; we do not consider electronic mail transmissions or other uses of the corporation’s network by students and employees confidential, and we may monitor it at any time to ensure its appropriate use for educational or administrative purposes. The interscholastic athletics program at Blackford County Schools is an established, important part of the total educational program at Blackford High School and Blackford Jr. High School. BCS has established a proud tradition of excellent academic and athletic accomplishments. We play to win and are held in high esteem by our opponents. We are proud of our Bruins and invite all who would like to participate with hard work and integrity to join us.